Couture shows are all about taking fashion to the extreme and introducing new trends for the future. 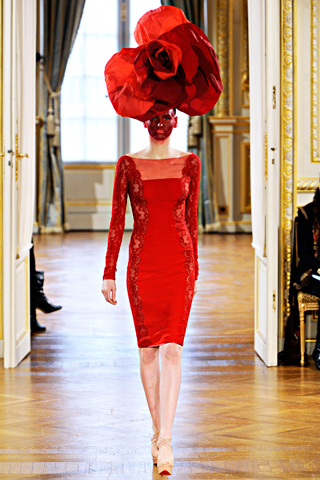 However, the Alexis Mabille Spring 12′ Couture Show took it another step further and presented her collection to the crowd with a bouquet of flowers – on the models heads! Different – but certainly a great touch to turn an average show into a unique bloom of Spring fashion! Check out more HERE!